*Steve Payne was then part owner of local Met Pro Shop sporting goods stores, with one such store located within Bloomington, MN Met Center. To our knowledge, only images of Steve wearing a tagged Met Pro Shop jersey have surfaced in away jersey, and remains unknown if home jersey was tagged this way vs. rest of team donning Steichen's tagging. 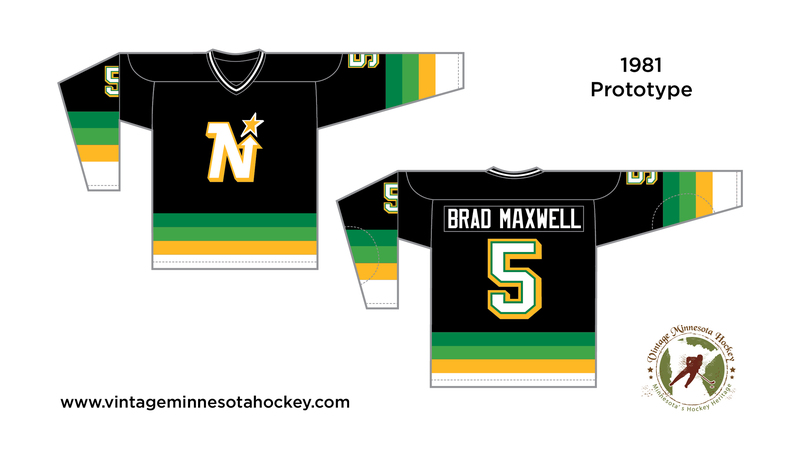 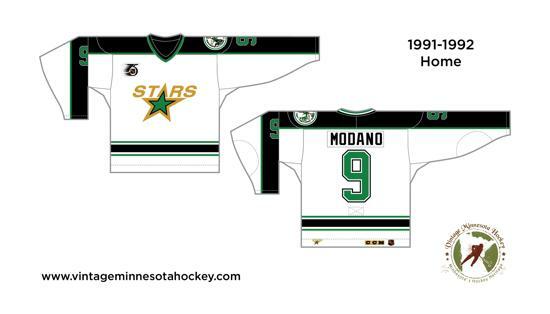 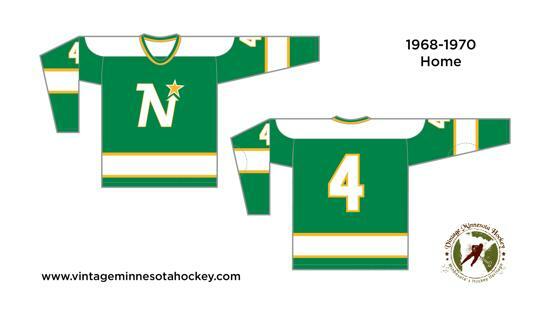 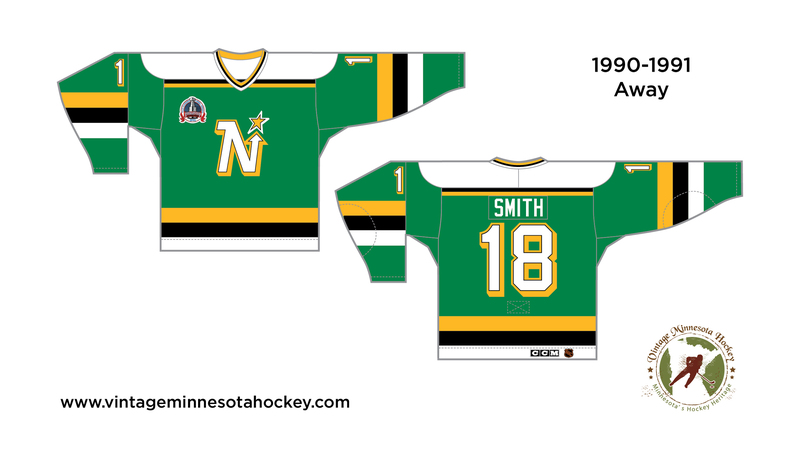 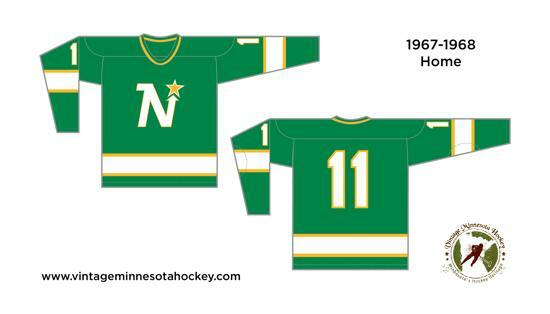 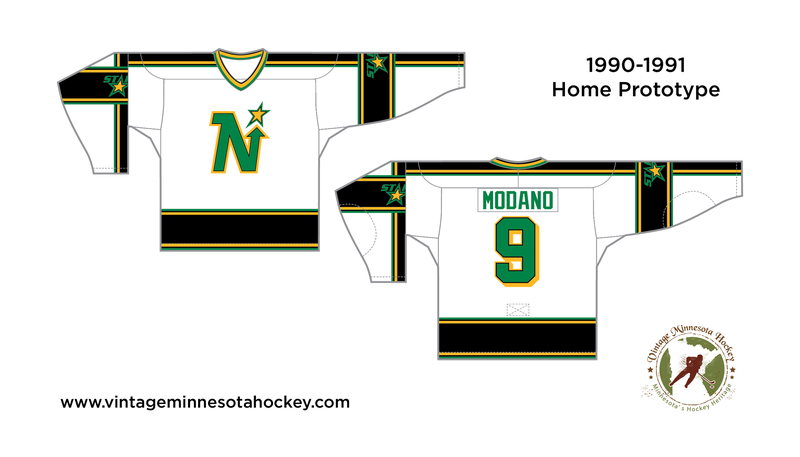 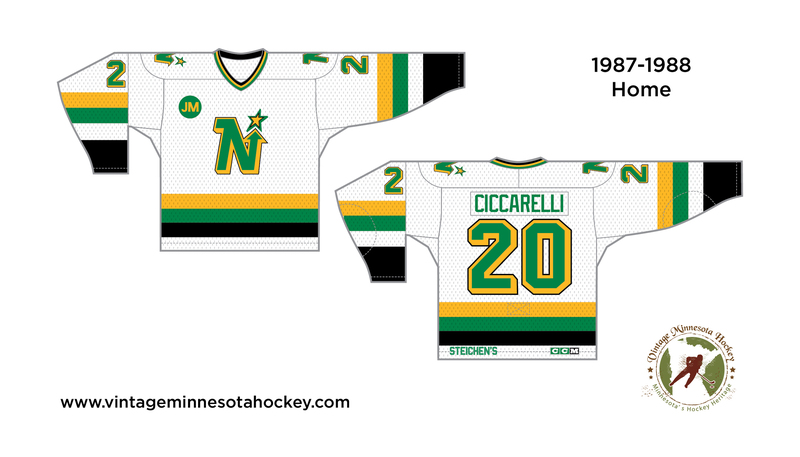 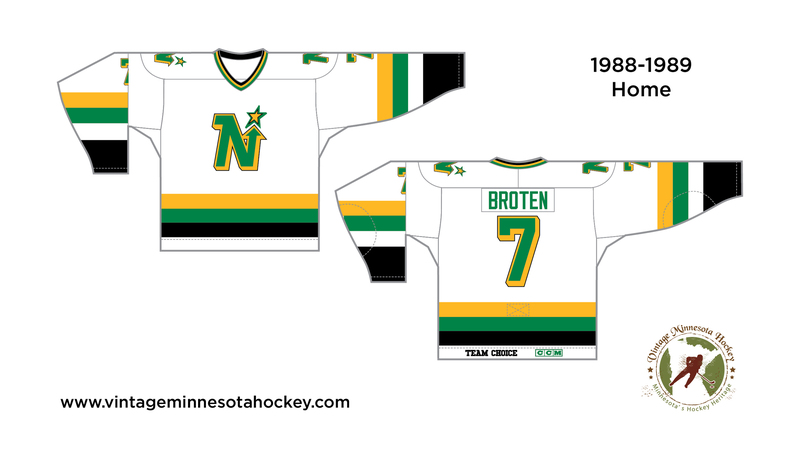 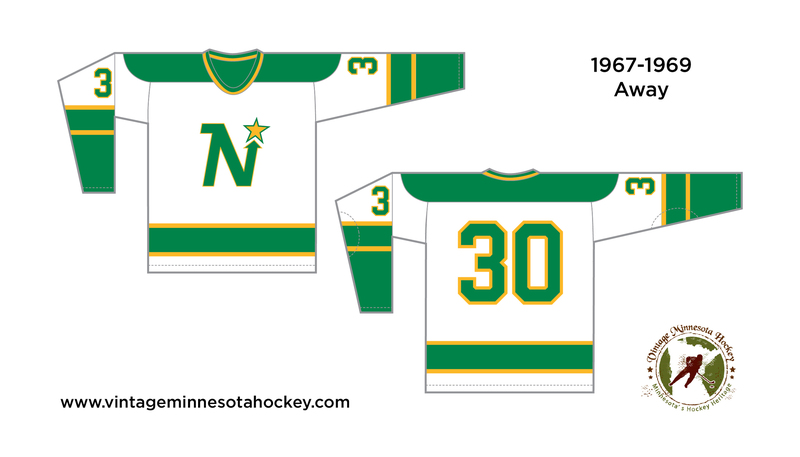 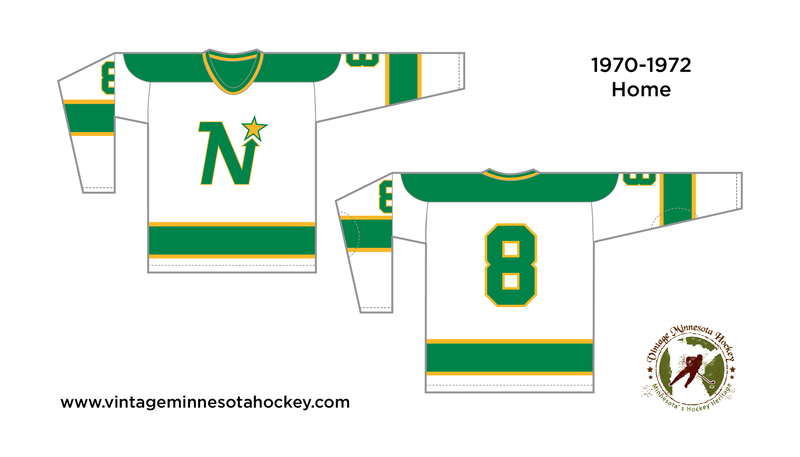 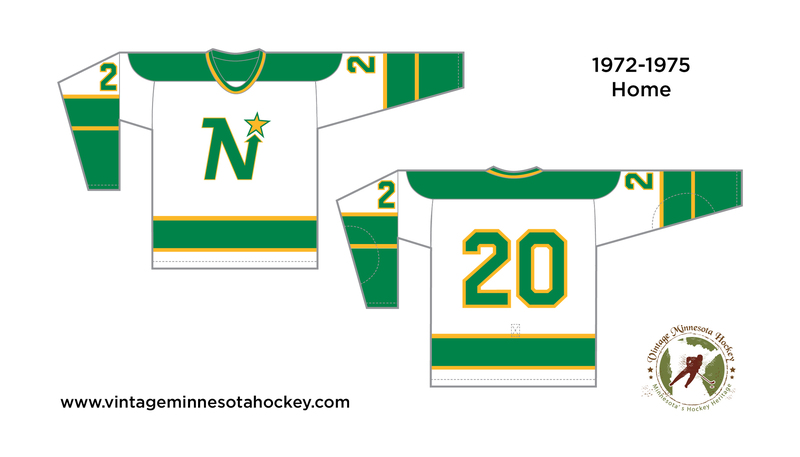 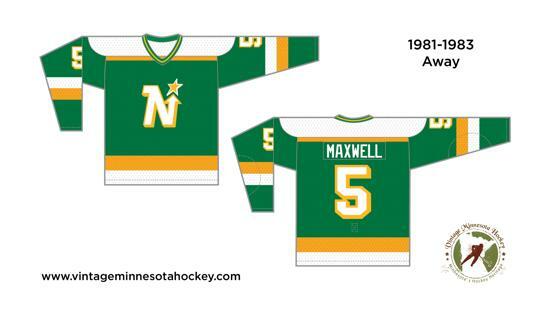 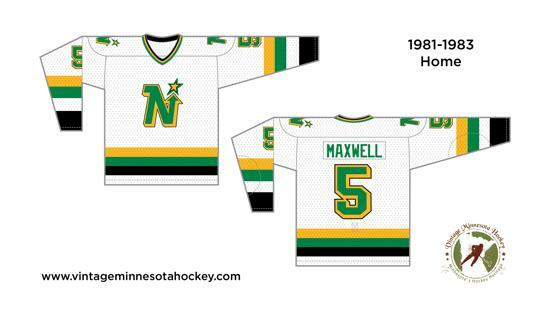 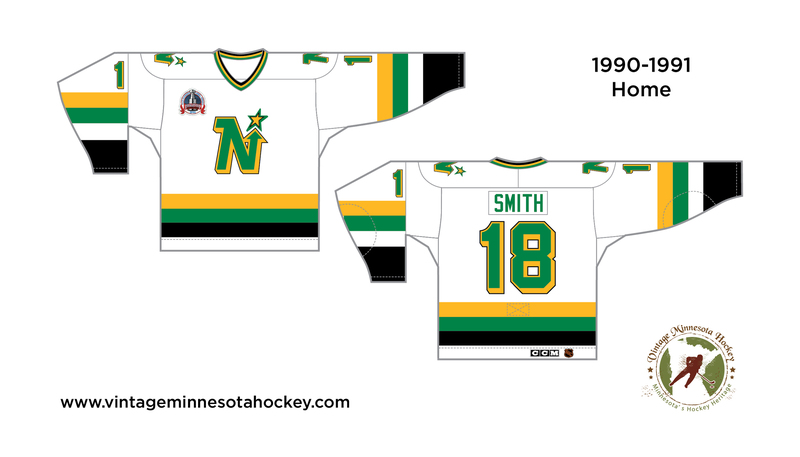 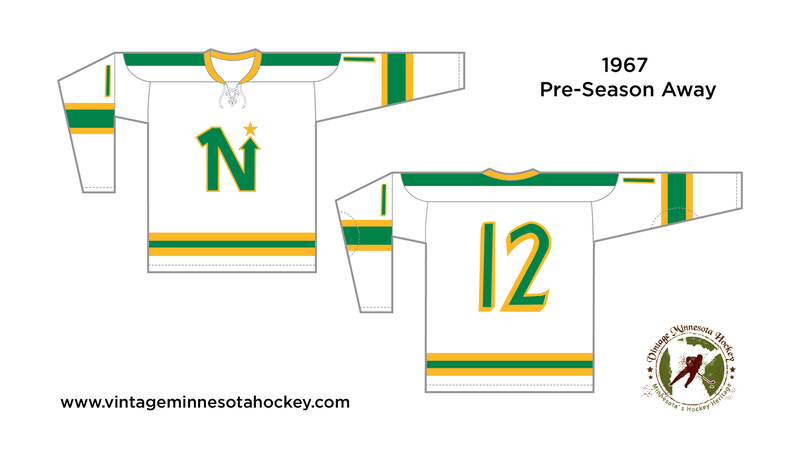 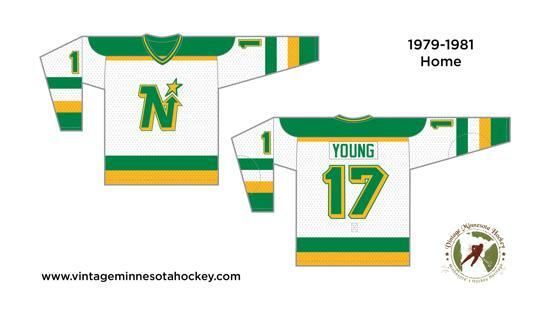 1981-82 Polyester mesh Stall and Dean - Steichen's tag in neck.First year with N-Star logo on shoulders and black sewn accents for home jerseys.